home, in the woodland ramble, when the rare holiday comes, or in the workshop. The purest and simplest form of musical enjoyment is thus made possible, with all harmonious requirements, where even four are found with one heart and mind, with music in their souls, though not a single musical instrument should offer its sustaining accompaniment. 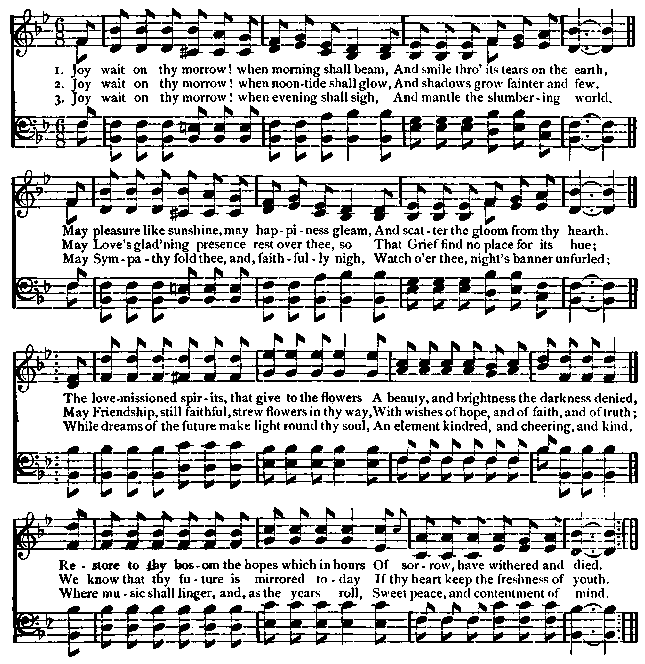 When the genius of song crowns the gospel of work, there will be fewer strikes; grimy faces will be less haggard; under the unconscious influence of beauty, harmony, and rhythm, labor will be more cheerfully, more faithfully performed�Gray.